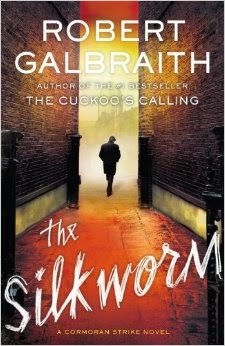 Review: A bizarre murder, a crazy group of suspects in the literary world and my favorite duo comprised of PI Cormoran Strike and his resourceful secretary, Robin. Although slow paced, this was detailed, fun and I really enjoyed it. I figured out the killer (yay!) but I wasn't correct on the motive or the 'how.' I also loved the politics of the publishing world. Great read!